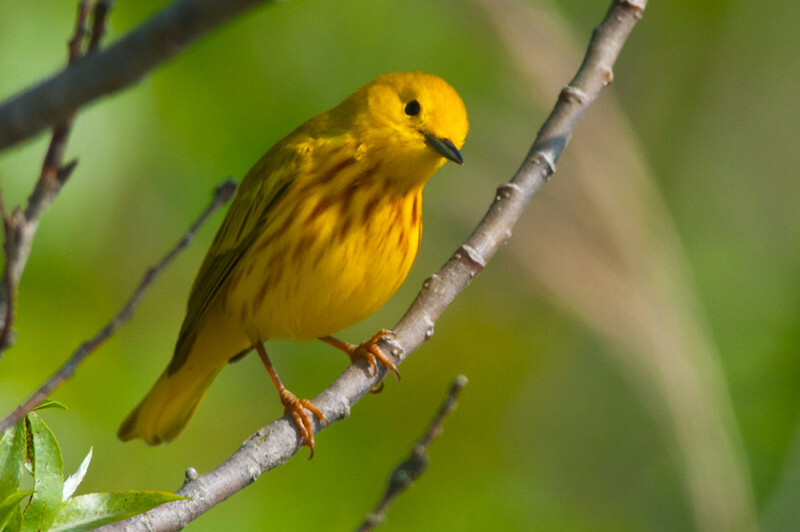 The Yellow Warbler is certainly the best known and most photographed Warbler. It appears early in the spring and seems to hang from every branch singing loudly and allowing very close approach. My most favourite place to photograph these is on the walking paths at the Lighthouse in Presqu'ile Provincial Park. The Yellow Warbler is one of the first to arrive and one of the first to leave .... rarely seen in the Fall migration. Average arrival date May 04. This species nest in the area.